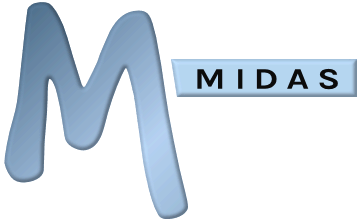 If the multi-session (Allow Multiple Logins By Users) feature has been enabled for your MIDAS, then you'll be able to login to the system from multiple devices simultaneously. Once logged in, you can click/tap your "logged in as" name near the top of the main window to view/manage all the devices your account is currently logged into MIDAS from. The list will show when the last activity in MIDAS occurred from each device you're currently logged in from, as well as indicating the device's IP address and Browser/OS. The highlighted entry denotes your current session. You can remotely log out any of these sessions by clicking/tapping its adjacent icon.